Comparing 5 Fairfield quilt batting samples. Which one is for you? Home » HA Kidd » H.A. 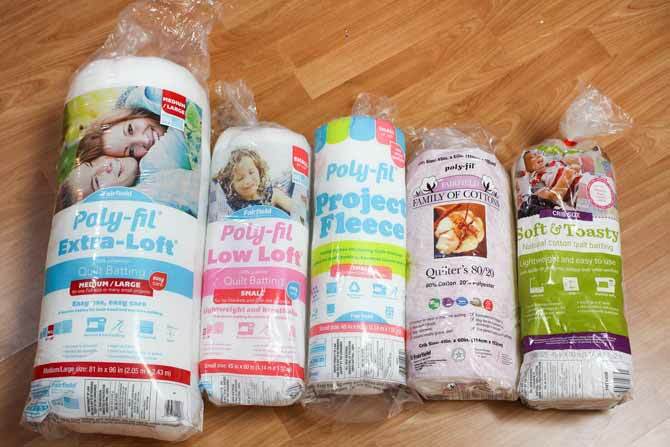 Kidd sewing notions » Comparing 5 Fairfield quilt batting samples – which one is for you? Comparing 5 Fairfield quilt batting samples – which one is for you? I’ve always wanted to collect a selection of batting samples and do some testing on them. This week I’m going to focus on 5 battings from Fairfield. I received 5 batting samples: 3 polyester battings, a cotton/polyester blend batting and a cotton batting. I spent some time stitching and washing and want to share my results with you. I began by cutting 14″ squares of each of the batting samples and drawing 12″ squares on each sample. Then I conducted some very scientific experiments! Each day this week I’m going to highlight and compare the 5 battings under a variety of considerations. Here are some questions I want to answer this week. What materials are used in batting and how does that affect the project? How does the thickness or the loft of the batting affect the quilting process and the finished quilt? How does pre-washing and washing after quilting affect the finished quilt? I’ll also look at the 5 battings and how the amount of quilting affects the finished look of the quilt. Let’s take a brief look at each of the batting samples that I received. 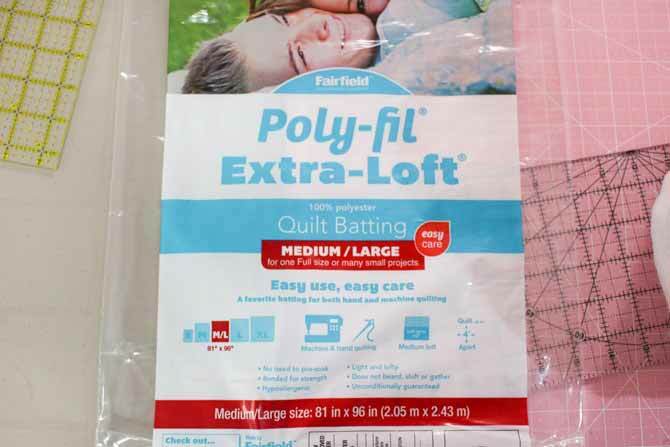 Poly-Fil Extra-Loft is a 100% polyester batting and can be quilted up to 4″ apart. The information on these packages is very helpful for choosing the right batting for each project. 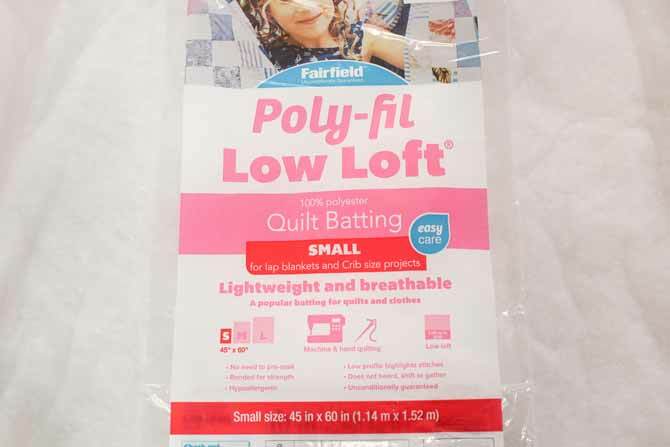 Poly-Fil Low-Loft is also a 100% polyester batting. The package doesn’t say what the stitching distance is but the website recommends a stitching distance of 2″ – 4″ apart. 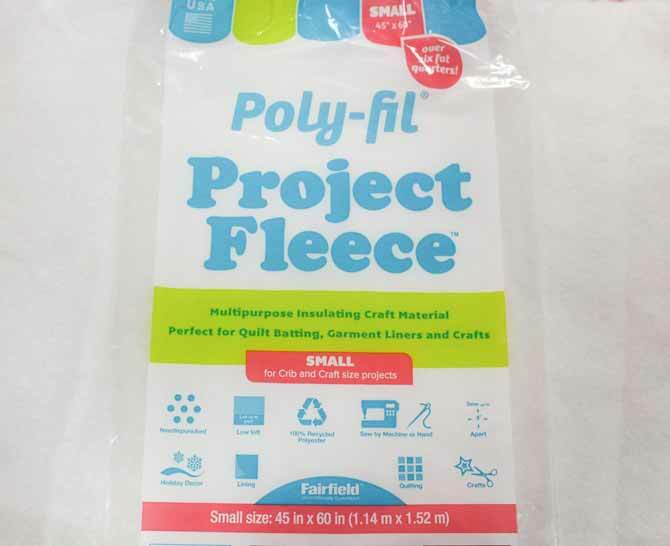 Poly-Fil Project Fleece is another 100% polyester batting that can be sewn up to 4″ apart. This batting is recommended for a variety of quilting and craft projects. 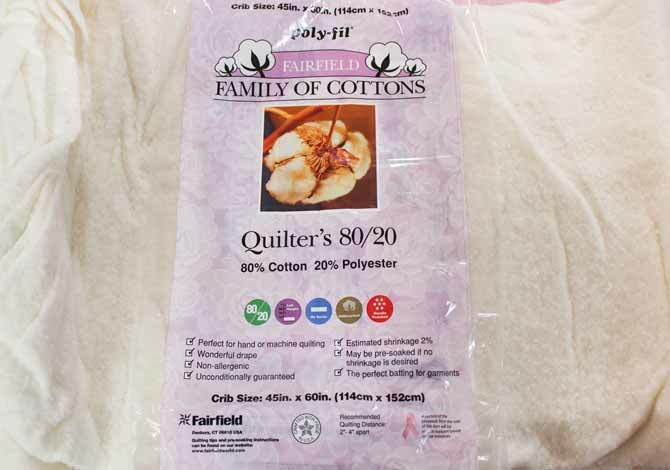 The Fairfield family of cottons, Quilter’s 80/20 batting is 80% cotton and 20% polyester. 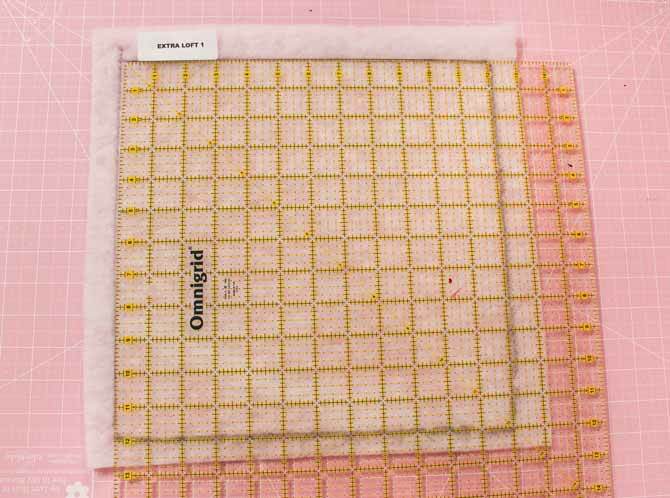 Recommended quilting distance is 2″ – 4″. It has been needle punched to keep the layers firmly together. And the last batting I tested is the Soft & Toasty. 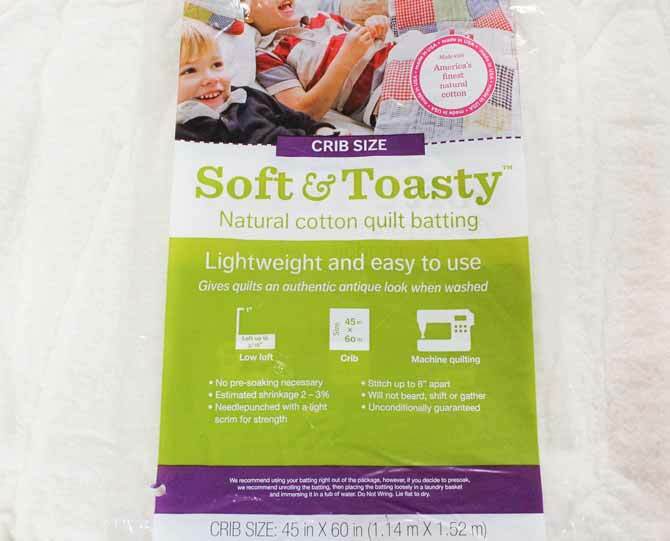 This batting is 100% cotton and can be quilted up to 8″ apart. It also is needle punched with a light scrim to give it stability. Tomorrow, I’ll focus on the cotton battings and follow up the next days with the polyester battings and why we like the battings we do and give some hints on when to use each one.